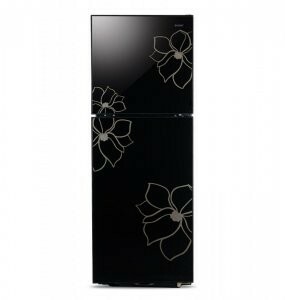 Satisfied for people will be introduced new product in which most different features that's like double door fridge and bottom freezer, inside the freezer 2 big space for storage the foods, and can freeze ice cube box, direct Cool/Roll Bond, constant fresh air flow. i bought this orient fridge a few months ago.its shelves of doors are made of defective and very thin material.both shelves broke after some days. i went to your head office at NISBAT road(near MAI LADO MOSQUE) to buy new shelves. there i met mister QAMAR with gentle face and beard on face who is deputy of that branch. he looked like a gentleman to me.i requested for 2 new shelves but he refused very badly and misbehaved with me.he said that u have to come tomorrow. i said i have came from a very far area. but he said that you people can wander at government offices many times. cant u come here tomorrow? so i requested to you to use good material that is relaiable. and to appoint a man with a salary of 100 or 150 rupees per day who atleast have manners to talk with some one.because Mr QAMAR is an all-mannered man. 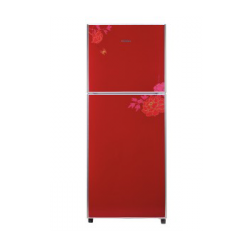 I also want to mention that i had only used dawlance appliances which are very good and reliable and i first time use orient fridge which is a very big mistake i have ever done. ponder on my complaint. my contact no is 0300-4124828 and 0335-7755850.